Otolaryngology Update: 37th AOI, Gujarat state branch annual conference being organized by ENT Society of Rajkot on 21st and 22nd December 2013. 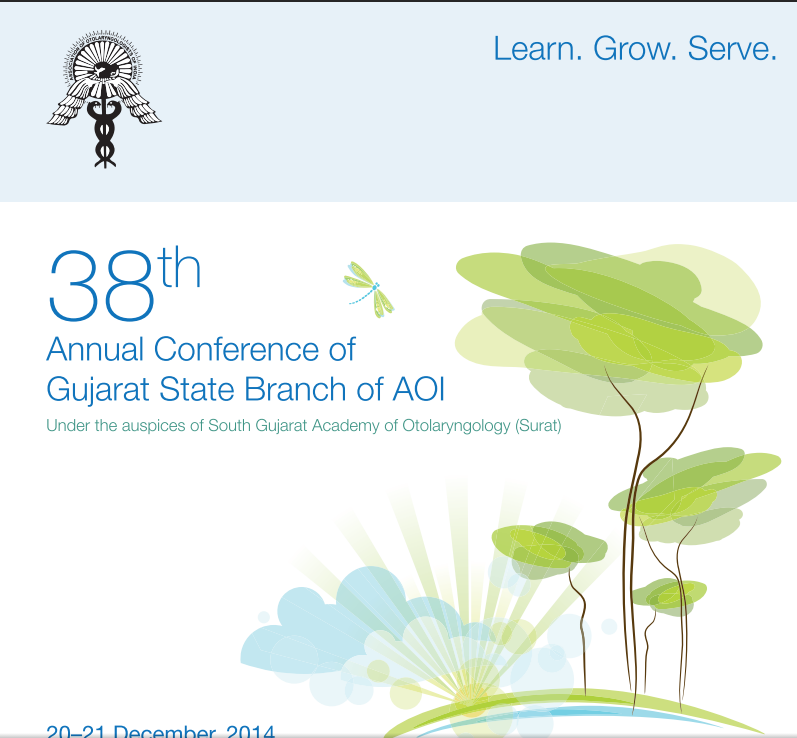 37th AOI, Gujarat state branch annual conference being organized by ENT Society of Rajkot on 21st and 22nd December 2013. We warmly welcome YOU to the 37th AOI, Gujarat state branch annual conference being organized by ENT Society of Rajkot on 21st and 22nd December 2013. Venue - The Grand Bhagwati Seasons, Rajkot. Faculty - Dr. Prepagaran, Dr. Kaluskar, Dr. Mohan Kameswaran. Demand draft should be in favour of "37th AOIGSBCON"
More details may be find in attached brochure. we have applied for 8 credit hours.